This week DC have Action Comics #997 out taking us so close to that epic #1000 which will be out in six weeks or so. It makes me wonder when they started Action Comics if they ever believed that they would make it to 1000 issues. “BOOSTER SHOT” part five! 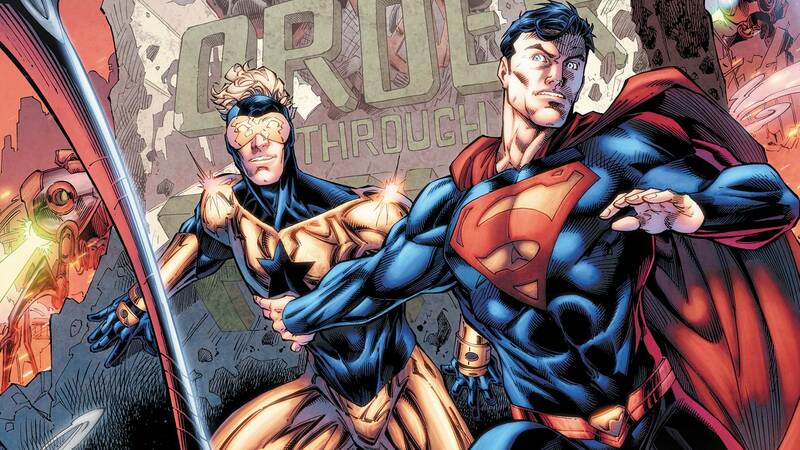 Superman and Booster Gold are stranded in time on a world ruled by not one but two Generals Zod! As Lor-Zod asserts himself as rightful heir to the military dictatorship of their adopted homeworld, Old Man Zod turns his attention to the interlopers from the past. Our heroes’ only hope of survival is to repair their craft and get home—but to do that, they’ll need to travel into the belly of beast!